Earrings made with the image transfer technique on wood, machined and painted entirely by hand. 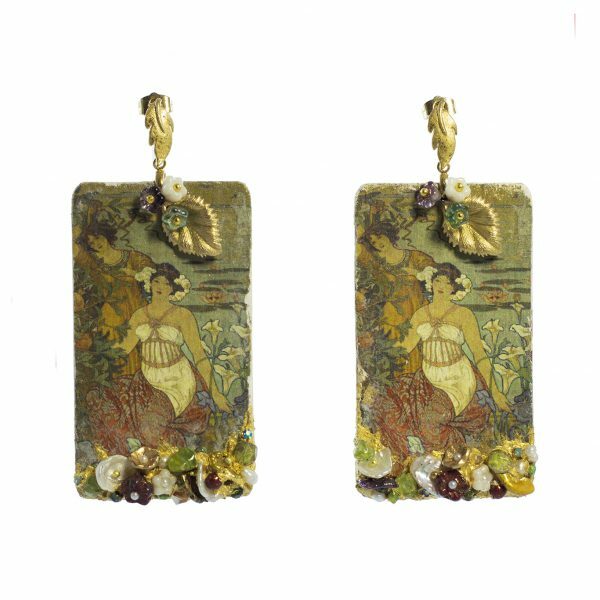 Gold plated brass leaves, flowers Bohemian glass, semiprecious stones and pearls baroque set of pure gold leaf 23.75 kt. The image is similar to the fresco of Ettore de Maria Bergler, located in Basile hall of the Grand Hotel Villa Igea in Palermo.